In this article, we’ll guide you in choosing the right type of camera for your video production needs. Nowadays, there are several kinds of cameras out there that record high quality video. Some are perfect for travelers. Others are great for online trainers. Some are good for live streaming. Others are great for making short films. We’ll go through the most popular types of cameras, and discuss their pros and cons, and who we think would ultimately benefit most from these cameras. Note: While we do have some recommended brands and specific models below, we don’t include many due to the natural of the camera industry. Every month they come out with new cameras that are better than the previous models. We do keep an updated list of cameras and other tools we use and recommend on our Resources page. We start with the most popular type of camera out there today – the DSLR and mirrorless. Built for photography, ever since the early 2000s, these cameras have added the video recording capability. The quality you get from these cameras is amazing. Many now can record 4k slow motion video, which would have been impossible to capture just a decade ago at this low price. Speaking of price, there are dozens of options out there for DSLR or mirrorless cameras that range from the low hundreds – around $400 for an entry level kit – to $5,000+ for more professional-level cameras. All of the major camera brands (Canon, Nikon, Sony, Fujifilm, Panasonic Lumix, Olympus) make DSLR or mirrorless cameras that can shoot video. Why do we lump DSLR and mirrorless cameras together? Both are interchangeable lens cameras, meaning you can put different lenses on the camera. The difference comes with the inner working of the camera. The DSLR has a mirror that flips up to reveal the shutter/sensor of the camera when filming. The mirrorless doesn’t have a mirror. Due to the lack of mirror, mirrorless cameras can be smaller – great for travelers! In general, anyone considering a DSLR should also check out mirrorless cameras as well, and vica versa. The way you shoot, and the quality of video you achieve is very similar. Who should use a DSLR or Mirrorless camera for video? To be honest, I would highly recommend these cameras for most people. They’re great for travelers, vloggers, low budget filmmakers, documentary makers, online instructors, and families. The only people who might not need or want this kind of camera are live streamers who don’t want to deal with a confusing video setup (it’s possible to livestream with a DSLR/mirrorless as a webcam, but not super easy). Or if you need super high quality footage for a professional narrative or short film and a camera with all the built in controls necessary, you may want to consider a digital cinema camera. They still make camcorders (remember the camera everyone had before DSLR and mirrorless cameras took over the consumer/prosumer video market?). And they make fantastic camcorders that shoot 4K footage, and are really easy to use too! While you won’t get the cinematic shallow depth of field style that interchangeable lens cameras offer, camcorders are made for video production. This means they are more ergonomic and generally have more options such as for sound recording. 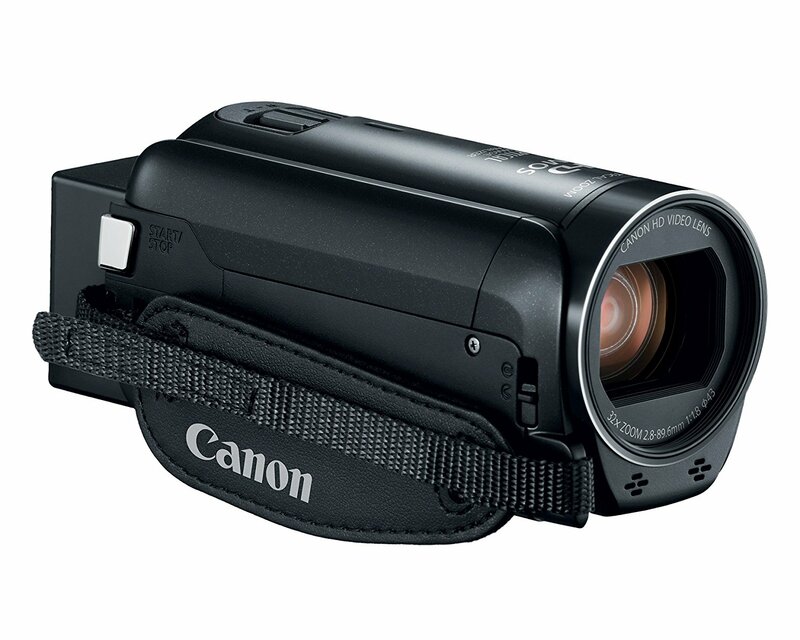 Canon, Panasonic and Sony dominate the camcorder market, with JVC still making some great professional ones. 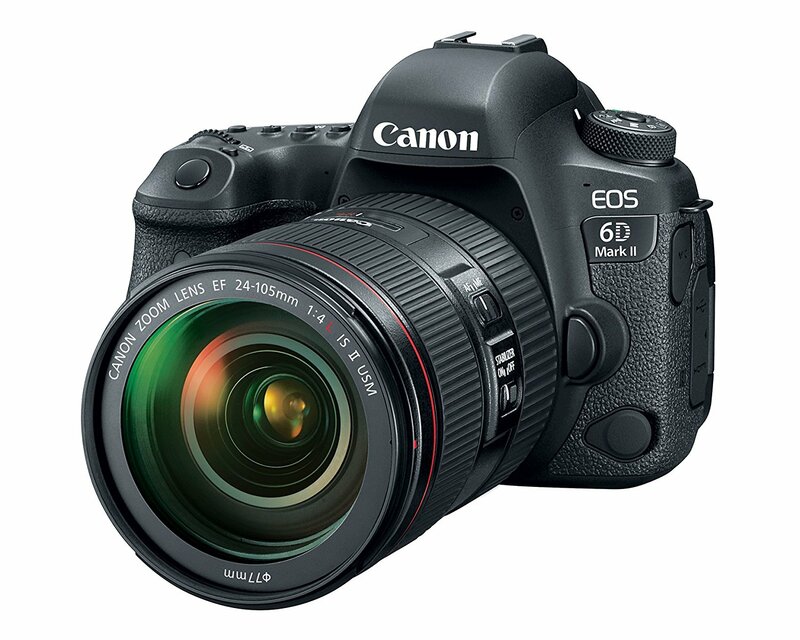 The price is comparable to DSLR and mirrorless cameras, making this an affordable option. Who should use a camcorder for video? Camcorders are still great for anyone who records long events. If you’re shooting something like sports or a talent show, it’s great to be able to continuously shoot for multiple hours straight. They’re also great for studio setups (especially DIY ones), and need a high quality camera that is always ready to roll. They’re also great if you’re used to using older camcorders. Nowadays, since many of the new camcorders record up 4k footage, you can easily shoot great video with them, without having to deal with accessories and lenses. 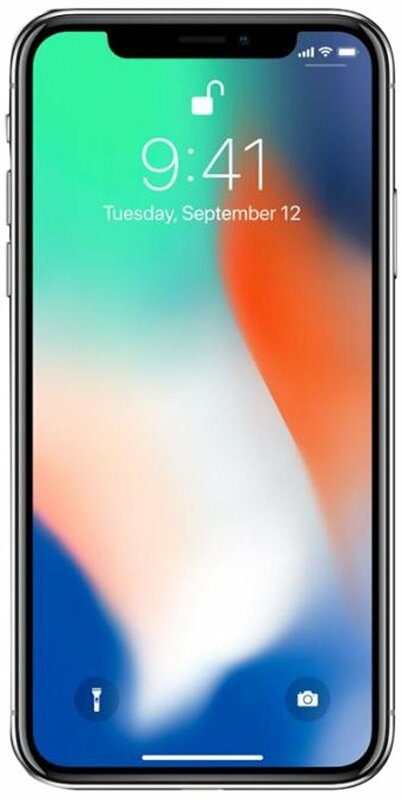 With the latest smartphones being able of shooting 4k, getting better and better at shooting in low light, and also being extreme slow motion video, why would you need anything else? They’re always with you, perfect for travel and capturing those day-to-day moments. And even Oscar-winning filmmakers are using them to film feature length films! A lot can be said about why having a high quality camera in your pocket is great. But realistically, there many reasons why you would forego the mobile device for a larger traditional camera. And while you can shoot 4K footage on a smartphone, not all 4K footage is equal. Not all 1080p footage is equal, for that matter. Smartphone sensors are inherently smaller than most DSLR, mirrorless, camcorder or digital cinema camera sensors. This means the quality of your 4K footage will actually be lower than 4K footage from one of these other cameras (most of the time). Who should use a smartphone for video? Smartphones and other mobile devices are great for anyone creating videos for social media or vlogging. While you can create beautifully edited videos right from your phone, they’re best for livestreaming to social media and posting quick updates and clips of your daily life. If your budget is limited, you can use a smartphone to increase your video quality without purchasing another camera. For example, if you do create YouTube videos, tutorials, online courses or similar, a smartphone might be a good step to making talking head videos that look better than a webcam (or are shot somewhere your computer can’t easily go). Stepping it up to the professional level, we reach the Digital Cinema Camera. These are super high quality, ergonomic, has-all-the-options-built-in cameras that are great for everything from a high-level YouTuber to a professional filmmaker. 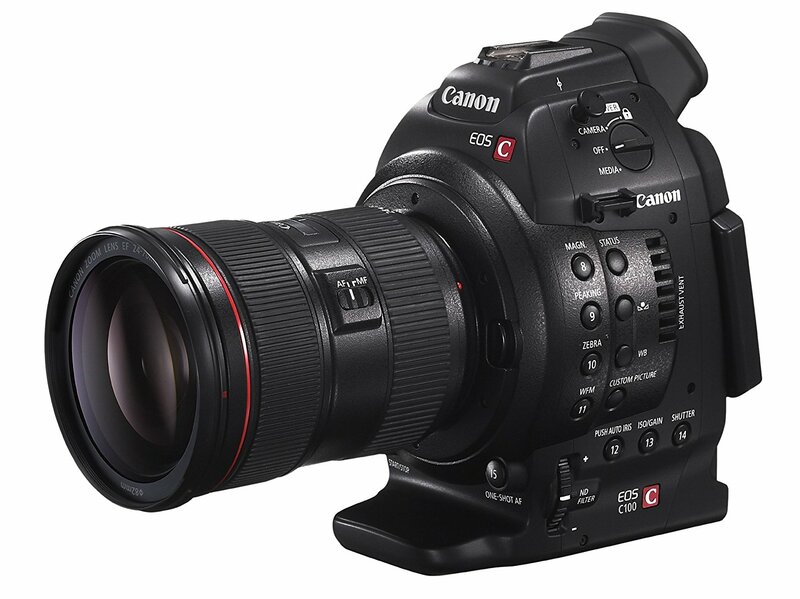 Canon, Blackmagic, Sony and Panasonic are popular brands that have lineups of great digital cinema cameras. These are interchangeable cameras with many of the controls you’d want for high level filmmaking built into the camera (XLR audio inputs, ND filters, zebras, peaking, outputs for external recorders or monitoring, and the list goes on). Generally the sensors will be bigger and better, meaning a higher dynamic range and better ability to shoot in low light. Who should use a Digital Cinema Camera for video? When you’re ready to up your video game, it’s time to look into a digital cinema camera. We suggest them for documentarians, independent filmmakers, or even high-level hollywood stuff. If you’re a YouTuber or online instructor, they can be great for setting up in your studio. It might be best to rent one of these cameras if you’re only going to be using them for a week or two. But if your workflow calls for consistently creating videos, and you want a tool that will make it easy, then this is the type of camera for you. Side note: Phil uses a Canon C100 Mark II in his home office for all of his online videos. The ability to plug XLR microphones directly into the camera, great auto-focus, and sharp image from this camera have taken his video quality and efficiency to the next level. Let’s take it down a notch. The webcam is a great option for quickly creating online videos, tutorials or live streaming from your office. 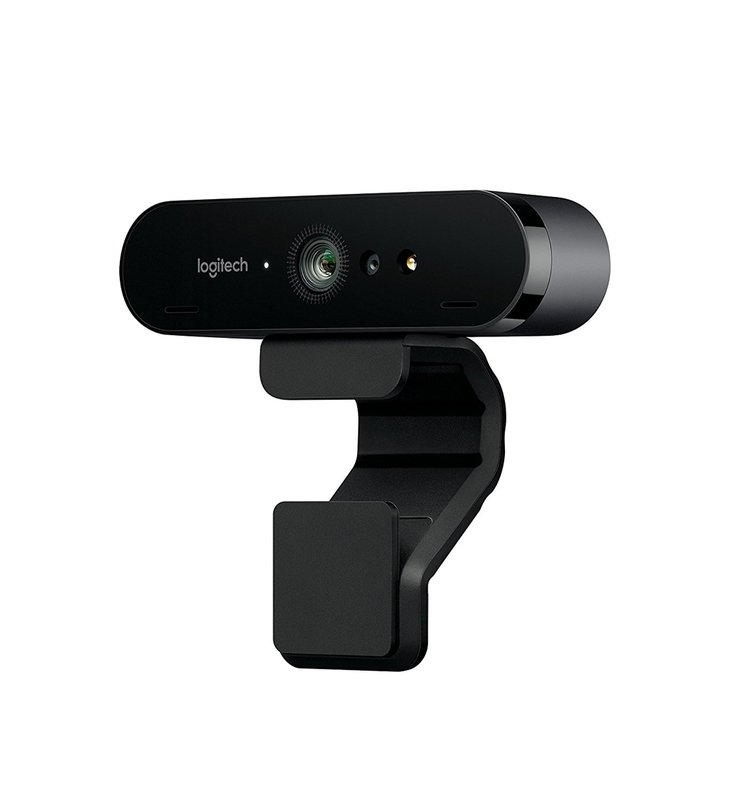 Logitech is our recommended webcam brand. They even have a 4K webcam (the Brio) that does decent in low light. Along with a webcam, you can use an app like Webcam Settings or iGlasses for Mac to control your webcam’s exposure, white balance and focus settings. While they are very limited in their aesthetic quality, and we wouldn’t recommend them when shooting your next oscar-worthy film, they are perfect for several types of video creators. Who should use a Webcam for video? Webcams are great for online course creators who want to easily add talking head videos to their courses. They’re also great for any online marketer who does webinars or other types of sales videos from their office. Use a webcam if you’re a gamer livestreaming or if you’re doing a live presentation on social media. They’re perfect for Skype calls or anyone doing business meetings from a distance. The action camera is a great tool for many uses. 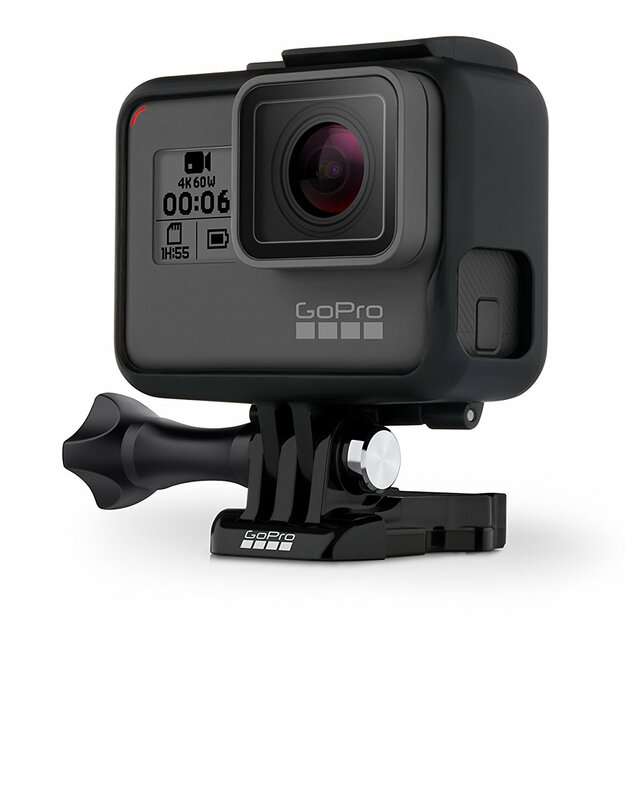 GoPro has dominated this market since well the inception of this market by GoPro. Other brands that are decent include Yi Technology and Sony. If you love getting outdoors and want to capture your next adventure, then the action camera is for you. Over the years, the quality has continued to get better and better. 4K is now the norm on most models. Some are even built for 360° VR shooting. Many attachments/mounts for different purposes such as cycling, driving, skating, surfing, skydiving, etc. Who should use a Action Camera for video? Use an action camera if you’re… well… doing some sort of action! They’re perfect for recording a sick mountain bike track or an epic surf session. They’re great for travelers who want a camera that fits in their pocket. If you want to stick a camera out in the desert to try to capture some rare desert tortoise, then a GoPro might be your best bet. Action cameras are great for aerial videography. In particular the Karma is built to hold GoPro cameras. We would not recommend action cameras for filming talking head videos due to their wide focal length. You can’t plug in external microphones to them, so you’ll have to sync audio later and record on a separate device. In concluding this list, we hope that this has helped guide you in making a decision. Or at the very least, pointed you in the right direction. Like we mentioned before, while we didn’t include many links to specific models that we recommend (as they change every year… or even month), we do keep an updated list of cameras we use and recommend on our Resources page. Was there anything we missed? 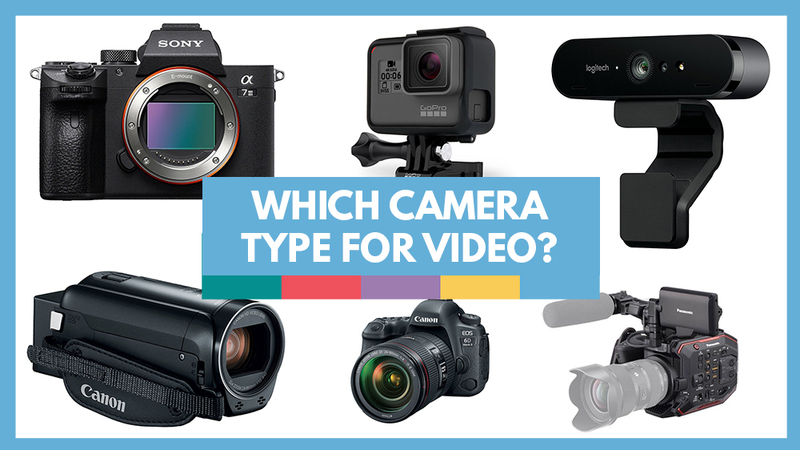 Let us know any other pros or cons that you thought of for each of these camera types in the comments below.